Home Health Information Calorie Restriction and Fasting Diets: What Do We Know? What Are the Different Forms of Calorie Restriction and Fasting? What's the Evidence from Animal Studies? What's the Evidence from Human Studies of Calorie Restriction? What's the Evidence from Human Studies of Fasting? How Does Calorie Restriction or Fasting Work? 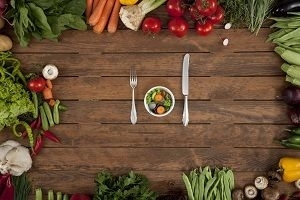 Should You Try Calorie Restriction or a Fasting Diet? You may have heard about calorie restriction and fasting diets and wondered why they're getting so much attention in the news. Aren't they just other terms for dieting to lose weight? No, they're not. Calorie restriction means reducing average daily caloric intake below what is typical or habitual, without malnutrition or deprivation of essential nutrients. In a fasting diet, a person does not eat at all or severely limits intake during certain times of the day, week, or month. A practical effect of a fasting diet may be fewer calories because there is less time for regular eating. These eating patterns are being studied as possible ways to maintain good health and live longer. They are not temporary weight-loss plans. Interest in their potential health and aging benefits stems from decades of research with a variety of animals, including worms, crabs, snails, fruit flies, and rodents. In many experiments, calorie-restricted feeding delayed the onset of age-related disorders and, in some studies, extended lifespan. Given these results in animals, researchers are studying if and how calorie restriction or a fasting diet affects health and lifespan in people. Many studies have shown that obese and overweight people who lose weight by dieting can improve their health. But scientists still have much to learn about how calorie restriction and fasting affect people who are not overweight, including older adults. They also don't know whether these eating patterns are safe or even doable in the long run. In short, there's not enough evidence to recommend any such eating regimen to the public. Calorie restriction is a consistent pattern of reducing average daily caloric intake, while fasting regimens primarily focus on the frequency of eating. The fasting diet may or may not involve a restriction in the intake of calories during non-fasting times. Time-restricted feeding—Meals are consumed within a limited number of hours (such as 6-8 hours) each day, with nothing consumed during the other hours. Alternate-day fasting—Eating is unrestricted every other day, and no or minimal calories can be consumed on the days in between. 5:2 eating pattern—Eating is unrestricted for 5 straight days each week, followed by 2 days of restricted caloric intake. Periodic fasting—Caloric intake is restricted for multiple consecutive days, such as 5 days in a row once a month, and unrestricted on all other days. More animal research has been done on calorie restriction than on fasting. In some experiments, calorie restriction is also a form of fasting because the lab animals consume all their daily allotted food within hours and go many more hours without any food. In these studies, when rodents and other animals were given 10 percent to 40 percent fewer calories than usual but provided with all necessary nutrients, many showed extension of lifespan and reduced rates of several diseases, especially cancers. But, some studies did not show this benefit, and in some mouse strains, calorie restriction shortened lifespan rather than extending it. In the worm C. elegans, a fasting diet increased lifespan by 40 percent. A study with fruit flies found that calorie restriction—but not intermittent fasting—was associated with living longer. One study of male mice found that lifelong alternate-day fasting increased longevity, mainly by delaying cancer occurrence rather than slowing other aging processes. Two National Institute on Aging (NIA)-supported studies in rhesus monkeys sought to find out whether the benefits of calorie restriction are seen in longer-lived species. In both studies, the monkeys were kept on a calorie-restriction diet (30 percent fewer calories than for monkeys in the control groups) for more than 20 years. Although there were differences between the two studies—including monkey breed and type of food—both provided evidence that calorie restriction reduced the incidence of age-related conditions, such as cancer, heart disease, and diabetes. One study found an extension of lifespan, while the other did not. Many of the monkeys are still alive, so the full impact of calorie restriction on their maximum lifespan has yet to be determined. Some study results suggest that calorie restriction may have health benefits for humans, but more research is needed before we understand its long-term effects. There are no data in humans on the relationship between calorie restriction and longevity. Some people have voluntarily practiced extreme degrees of calorie restriction over many years in the belief that it will extend lifespan or preserve health. Studies on these individuals have found markedly low levels of risk factors for cardiovascular disease and diabetes. The studies have also found many other physiologic effects whose long-term benefits and risks are uncertain, as well as reductions in sexual interest and the ability to maintain body temperature in cold environments. These people generally consume a variety of nutritional supplements, which limits knowing which effects are due to calorie restriction versus other factors. To conduct a more rigorous study of calorie restriction in humans, NIA supported a pioneering clinical trial called Comprehensive Assessment of Long-term Effects of Reducing Intake of Energy (CALERIE). In CALERIE, 218 young and middle-aged, normal-weight or moderately overweight adults were randomly divided into two groups. People in the experimental group were told to follow a calorie-restriction diet for 2 years, while those in the control group followed their usual diet. The study was designed to have participants in the experimental group eat 25 percent fewer calories per day than they had regularly consumed before the study. Although they did not meet this target, they reduced their daily caloric intake by 12 percent and maintained, on average, a 10 percent loss in body weight over 2 years. A follow-up study 2 years after the intervention ended found that participants had sustained much of this weight loss. It's important to note that calorie-restriction regimens are not starvation diets. The weight loss achieved with calorie restriction in the CALERIE trial resulted in body weights within the normal or overweight range. Compared to participants in the control group, those in the calorie-restriction group had reduced risk factors (lower blood pressure and lower cholesterol) for age-related diseases such as diabetes, heart disease, and stroke. They also showed decreases in some inflammatory factors and thyroid hormones. There is some evidence that lower levels of these measures are associated with longer lifespan and diminished risk for age-related diseases. Moreover, in the calorie-restricted individuals, no adverse effects (and some favorable ones) were found on quality of life, mood, sexual function, and sleep. The calorie-restriction intervention did cause slight declines in bone density, lean body mass, and aerobic capacity (the ability of the body to use oxygen during exercise). However, these declines were generally no more than expected based on participants' weight loss. Other short-term studies have found that combining physical activity with calorie restriction protects against losses of bone, muscle mass, and aerobic capacity. Some CALERIE participants also experienced brief episodes of anemia (diminished number of circulating red blood cells that carry oxygen through the body). Overall, these findings indicate that while the degree of calorie restriction in CALERIE is safe for normal-weight or moderately obese people, clinical monitoring is recommended. Most research to date has focused on the weight-loss aspect of fasting, primarily in obese people, and only a few small clinical trials have been conducted. More work is needed to determine which, if any, types of fasting diets have long-term benefits. Observational studies have been conducted in people who practice fasting in one form or another. In an observational study, the investigator does not determine the treatment to offer and does not randomize subjects into a control group or experimental group. Instead, the investigator records data from real-life situations. For example, one observational study compared people who routinely fasted (as part of a religious practice or for another reason) to those who did not fast. It found that those who routinely fasted were less likely to have clogged arteries or coronary artery disease. However, the study did not control for other factors that could have affected the results, such as the kind of diet, quality of food consumed, or use of nutritional supplements. After decades of research, scientists still don't know why calorie restriction extends lifespan and delays age-related diseases in laboratory animals. Do these results come from consuming fewer calories or eating within a certain timeframe? Are the results affected by the diet's mix of nutrients? Several studies have focused on what occurs inside the body when caloric intake is restricted. In laboratory animals, calorie restriction affects many processes that have been proposed to regulate the rate of aging. These include inflammation, sugar metabolism, maintenance of protein structures, the capacity to provide energy for cellular processes, and modifications to DNA. Another process that is affected by calorie restriction is oxidative stress, which is the production of toxic byproducts of oxygen metabolism that can damage cells and tissues. Several of these processes were similarly affected by calorie restriction in the human CALERIE trial. However, we do not yet know which factors are responsible for calorie restriction's effects on aging or whether other factors contribute. Research supported by NIA has also focused on the effects of intermittent fasting. During fasting, the body uses up glucose and glycogen, then turns to energy reserves stored in fat. This stored energy is released in the form of chemicals called ketones. These chemicals help cells—especially brain cells—keep working at full capacity. Some researchers think that because ketones are a more efficient energy source than glucose, they may protect against aging-related decline in the central nervous system that might cause dementia and other disorders. Ketones also may inhibit the development of cancer because malignant cells cannot effectively obtain energy from ketones. In addition, studies show that ketones may help protect against inflammatory diseases such as arthritis. Ketones also reduce the level of insulin in the blood, which could protect against type 2 diabetes. But too many ketones in the blood can have harmful health effects. This is one of the reasons researchers want to understand more about how calorie restriction diets work before recommending them. Most of the relevant studies have been conducted in laboratory and animal models, from yeast cells to primates. These findings do not necessarily apply to humans. Most clinical trials with humans have been short (a few weeks or months), conducted in overweight subjects, and focused on weight loss rather than aging processes. The longest trial so far (CALERIE) lasted 2 years, which isn't long enough to learn about the long-term health effects of calorie restriction. These clinical trials have typically recruited adults age 60 or younger, so the results don't necessarily apply to younger or older people. A tremendous number of organic and chemical processes keep the human body functioning. Researchers must sort out how these processes are affected under different dietary conditions. Humans are quite different from each other in terms of gender, size, age, genetics, environment, lifestyle, and other factors. An eating pattern that's found to help one person might not have the same effect on another. With animal studies, the researcher provides the food so knows how much has been eaten and when. This kind of reliable evidence is harder to obtain in human studies. Although new techniques can objectively measure overall caloric intake, it is still challenging to get accurate reports of diet information from individuals going about their lives. Most calorie-restriction and fasting-diet studies have been in younger people, but researchers are beginning to study older adults. A clinical trial conducted by NIA is testing the 5:2 diet in obese people, age 55 to 70, with insulin resistance. (This is a condition in which cells do not respond normally to the hormone insulin. This can lead to serious diseases such as diabetes.) People in the experimental group can eat at will for 5 days, and then for 2 consecutive days are restricted to 500 to 600 calories per day. The experiment is designed to find out how 8 weeks of the 5:2 diet, compared to a regular diet, affects insulin resistance and the brain chemicals that play a role in Alzheimer's disease. In the coming years, researchers will continue to explore many unresolved questions. What are the long-term benefits and risks of the various eating patterns? Which diets are feasible as a long-term practice? What specific biological effects on aging and disease are triggered by a particular eating pattern? If a specific way of eating is recommended, at what age is it best to start, and is it safe to continue as you get older? Scientists are exploring many aspects of calorie restriction and fasting and their effects on people of all ages. Some are conducting clinical studies and trials to learn more. If you are interested in volunteering for this type of research, search ClinicalTrials.gov using keywords such as "intermittent fasting," "time-restricted feeding," or "calorie restriction." There's insufficient evidence to recommend any type of calorie-restriction or fasting diet. A lot more needs to be learned about their effectiveness and safety, especially in older adults. You may be tempted to try one of these eating patterns. It's important to make sure that whatever you try provides you with a safe level of nutrition. Talk with your healthcare provider about the benefits and risks before making any significant changes to your eating pattern. Eat a balanced diet with nutritious food in moderate amounts. Maintain an active social lifestyle. Read more about healthy eating for older adults.